Branched Chain Amino Acids (IBCAA's) are essential amino acids are the building blocks of proteins that are essential for muscle protein synthesis. There are 20 known amino acids, 9 of which are essential to regular bodily function, meaning these amino acids come directly from our diets. IBCAA's include 3 branched chain amino acids; Leucine, Isoleucine and Valine. These three amino acids in particular deliver the greatest significance to muscle recovery*. During a workout the body’s muscle fibers are torn and damaged. 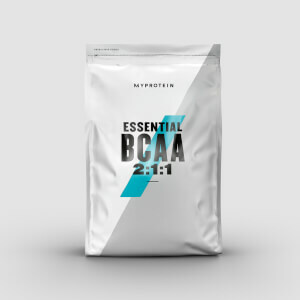 Branched chain amino acids are essential within the diet whereby they are utilized by the body in order to enhance muscle recovery and repair*. Not only this, but during intense or prolonged exercise, the body can often breakdown muscle protein as a source of energy, however, the consumption of IBCAA’s may prevent this muscle break down whilst contributing to the growth and maintenance of lean muscle mass*. 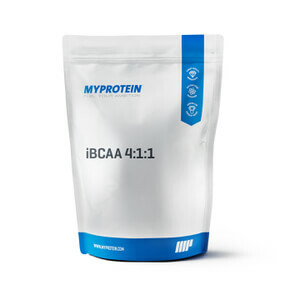 The three essential branched chain amino acids found in Myprotein IBCAA’s are different from other amino acids, whereby when consumed they are digested directly in the muscle rather than the stomach. This means when our muscles have been stripped of all energy and nutrients, IBCAA’s can replenish stripped muscle stores*. Our IBCAA formula also now comes in two fantastic new flavors, which can be easily mixed using water. IBCAA’s are suitable for generally active individuals,those involved in strength training or other intense/prolonged endurance exercise. 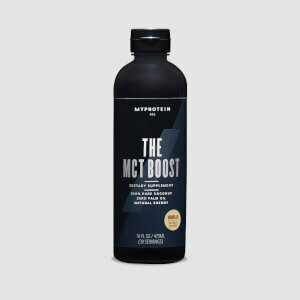 Myprotein IBCAA's can be taken by those looking to have a boost of energy during a workout, recover faster after a workout, and build or maintain lean muscle. Consuming IBCAA's means you can get the increased level of IBCAA’s that is required for maximum recovery and to progress as quickly as possible*. IBCAA can be taken throughout the day, but ideally the best time to consume IBCAA is before, during and after your workout. Taking IBCAA around your workout will ensure your muscles have less chance of breaking down They can be taken by mixing a 5g serving with plain water or your preferred still drink and fruit juice. 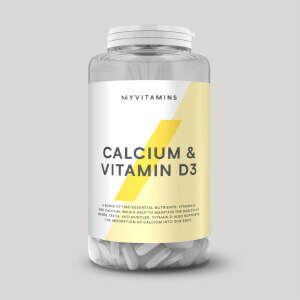 As a dietary supplement we recommend consuming 5 grams 2 - 4 times daily for optimal results. Best consumed with your preferred amount of water or fruit juice. Add 2 heaped MP small scoops (5g) to your preferred amount of water or fruit juice and consume immediately. Branch Chain Amino Acids (L Leucin (50%), L Isoleucine (25%), L Valine (25%)), Emulsifier (Soy Lecithin). Branch Chain Amino Acids (L Leucine, L Isoleucine, L Valine), Emulsifier (Soy Lecithin), Flavouring, Sweeteners (Sucralose, Acesulfame Potassium), Colour (Allura Red AC). Warning: Allura Red AC may have an adverse effect on activity and attention in children. Branch Chain Amino Acids (L Leucine, L Isoleucine, L Valine), Emulsifier (Soy Lecithin), Natural Flavouring, Sweeteners (Sucralose, Acesulfame Potassium), Colour (Sunset Yellow FCF). Warning: Sunset Yellow FCF may have an adverse effect on activity and attention in children. Branch Chain Amino Acids (L Leucine, L Isoleucine, L Valine), Emulsifier (Soy Lecithin), Natural Flavouring, Sweeteners (Sucralose, Acesulfame Potassium), Colours (Allura Red AC, Brilliant Blue FCF). Warning: Allura Red AC may have an adverse effect on activity and attention in children. Branch Chain Amino Acids (L Leucine, L Isoleucine, L Valine), Emulsifier (Soy Lecithin), Flavouring, Sweeteners (Sucralose, Acesulfame Potassium), Colour (Brilliant Blue FCF). Branch Chain Amino Acids (L Leucine, L Isoleucine, L Valine), Emulsifier (Soy Lecithin), Flavouring, Sweeteners (Sucralose, Acesulfame Potassium), Colours (Allura Red AC, Brilliant Blue FCF). Warning: Allura Red AC may have an adverse effect on activity and attention in children. Branch Chain Amino Acids (L Leucine, L Isoleucine, L Valine), Emulsifier (Soy Lecithin), Natural Flavouring, Sweeteners (Sucralose, Acesulfame Potassium), Colours (Tartrazine, Brilliant Blue FCF). Warning: Tartrazine may have an adverse effect on activity and attention in children. Branch Chain Amino Acids (L Leucine, L Isoleucine, L Valine), Emulsifier (Soy Lecithin), Flavouring, Sweeteners (Sucralose, Acesulfame Potassium), Acid (Malic Acid), Colours (Sunset Yellow FCF, Brilliant Blue FCF). Warning: Sunset Yellow FCF may have an adverse effect on activity and attention in children. Bought 2lb of lemon lime on sale. Worst taste ever. Been working out for many years, by far horrible taste. Taste so bitter and bad after taste. Taste like poison. Don't by lemon lime. I took advantage of july 4th offers and bought 2.2 lbs of apple flavored ibcaa's. Having read of myprotein reputation on labdoor I was excited for making my first purchase in quality supplements. So far I've tried with 8 and 12 oz of cold water trying to tame a little bit the flavor but no luck, guess I'm stuck with 200 services of great quality but bad testing aminos. Horrible customer service i ordered in Janurary and with all the "delivery problems" it came in May. The taste and mixability is not that good either. This is a great product for helping your muscles recover from lifting and for keeping on hard earned muscle when cutting down on weight. I usually use this product pre and post lift and I love it. It mixes great, the flavors are good and it does its job. The difference between this product (ibcaa) and the regular BCAA is that it has been instantized so that it mixes easier. Should have been in the description. I recommend unflavored and adding some Stevia drops to avoid the artificial flavors, sweeteners, and colors which will be about 20% of the product lost. Money aint free, and this stuff aint cheap. Mixes good and works good but that blue raspberry is like taking a nice dose of Tussin. I've only used water so far but maybe I can find a healthy juice to mask it. Citrulline Malate for an intra training drink and/or anytime of the day!! Uses "natural flavor" but the watermelon variety needlessly uses red dye for coloring. Won't use this product because of that.